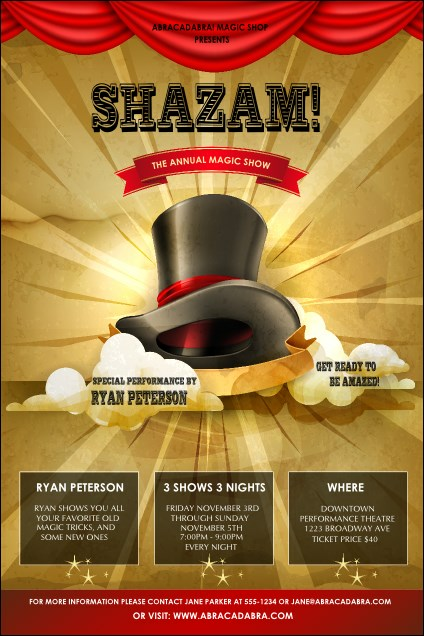 Create a sensation with the Magic Show Poster! Ideal for talent shows, magic-themed events and, of course, magic shows, folks will be spellbound by this poster’s retro design featuring a top hat floating beneath the magic word. Designed to spread the word, this printed poster template boasts twenty-six lines of text with which to convey event details. Attract attendees with the right poster from TicketPrinting.com.